Ideal for receptions and waiting areas, the Junior Diplomat is a discreet indoor plastic indoor litter bin. Its rigid material makes it low–maintenance and cost–effective. 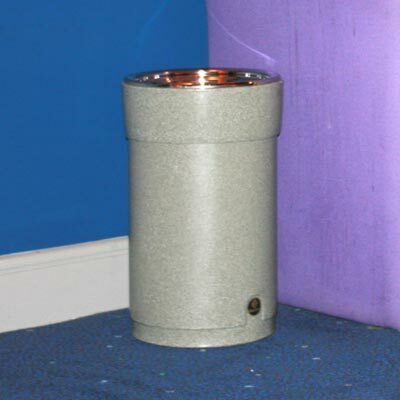 A discreet litter container with a chrome rim or optional swing top. Integral sack retention or optional metal liner. Bin: Black, Dark Blue, Deep Green, Light Grey, Millstone, Sandstone. Top: Mild steel with chrome-plated finish. Capacity: 23 litres (without liner), 16 litres (with metal liner). Weight: 3kg (without liner), 4.7kg (with metal liner).